Davis Islands was created from two man made islands atop two small natural islands formerly known as Little Grassy Key and Big Grassy Key at the mouth of the Hillsborough River. 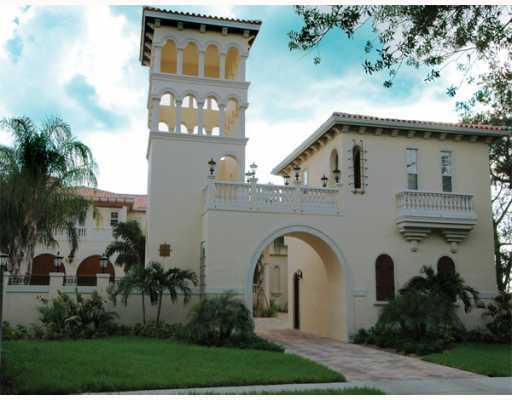 The land was built up from mud dredged from the bottom of Tampa Bay in the 1920’s and expanded. This dredge and fill operation was undertaken by developer and Tampa native D. P. Davis. Today Davis Islands is a mix of residential homes and retail areas. 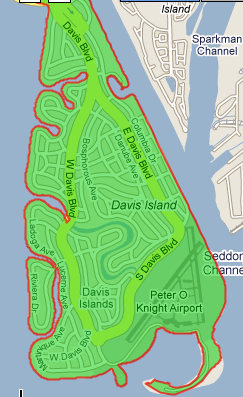 Davis Islands is also home to Peter O. Knight Airport, Davis Island Yacht Club, and Tampa General Hospital. Also on the Islands are the Marjorie Park and Marjorie Park Municipal Yacht Basin. Marjorie Park was donated to the City of Tampa and named by Davis after his wife Marjorie Merritt Davis.